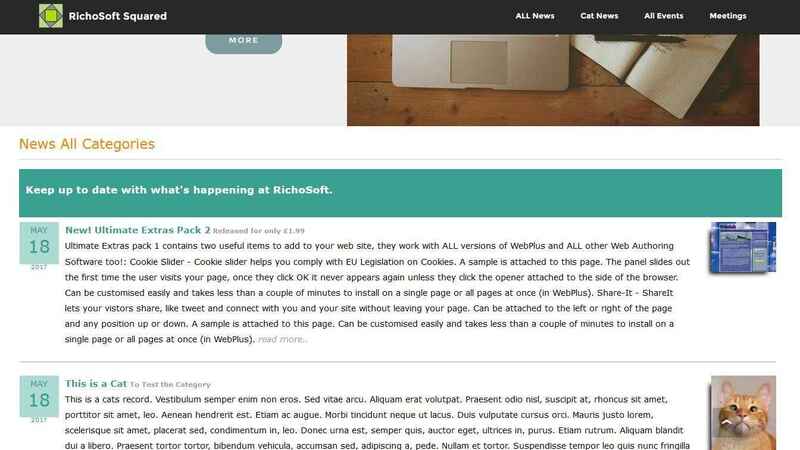 Here are a selection of Utilities and Add-Ons, some are extensions, some added via the Code Editor for Mobirise Sites. Do Not use a third party server or processing. U7. 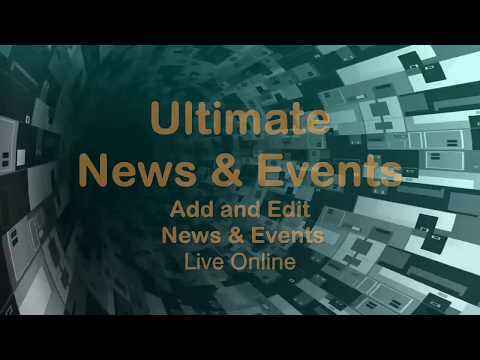 Ultimate News and Events Panels System. News Events Panel- Stylishly displays your club or organisation's newsworthy items or upcomining events, with optional image and hyperlink. News events are displayed in descending date order latest first, whilst Upcoming Events are displayed in ascending date order automatically dropping passed events. News and events can be categorised and different categories displayed on different pages and/or all categories on a single page. Can also be used as a mini-blog, message board etc. Comes with On-Line Control Panel to manage and add your news and events easily with images and links. Images can be enlarged by clicking them and they re-set to original size after a few seconds. Requires a server that supports php and MySqli. Uses mySQLi so requires php with mySQLi extension PHP v5.4 or later. Add an Image and/or Hyperlink if required. Image can be enlarged by clicking and reverts to normal size after a few seconds. Easy Set-Up, no programming knowledge required. Easy customisation via simple parameters. News and Events Panels Can be installed on as many pages as required with single category items or all categories on a single page. News Items displayed in Descending date order - latest first. Upcoming Events displayed in ascending date order automatically dropping passed events from the list. Display automatically formatted for best display and responsive. Displays multiple pages of news and events. Scroll bar automatically added as required. Works with Mobirise 3.8.4 or later. Multi Seat license allows use on your personal sites concurrently. Professional stylish presentation of newsworthy items and upcoming events. Can also be used as a mini-blog or message board.